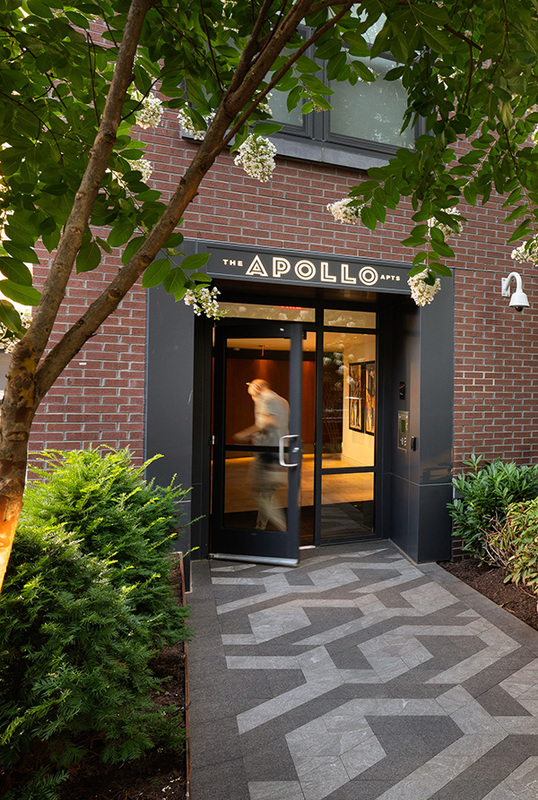 The Apollo is an 8-story, 435-unit apartment and retail building in Washington DC’s H Street Corridor, a burgeoning neighborhood near Union Station. 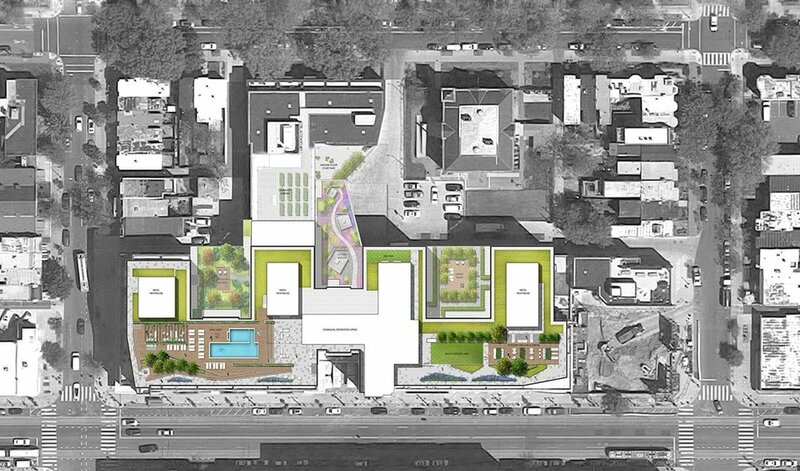 The building’s relatively large footprint presented an opportunity to create a diverse array of outdoor spaces including a large pool terrace, a generous outdoor grilling and lawn terrace, a dog run, a community garden, four smaller outdoor courtyards, walk-out gardens for several ground-floor units, public streetscapes, and a related public dining court. The project took an innovative stance toward the interrelation of public and private spaces, with the main lobby to the apartment building housing a coffee shop / bar that encourages activity and welcomes visitors into the building. LAB worked closely with the architect in order to conceptualize an outdoor dining court at the street level that complements the lobby and further emphasizes the building’s approach to the intermixing of public and private space. 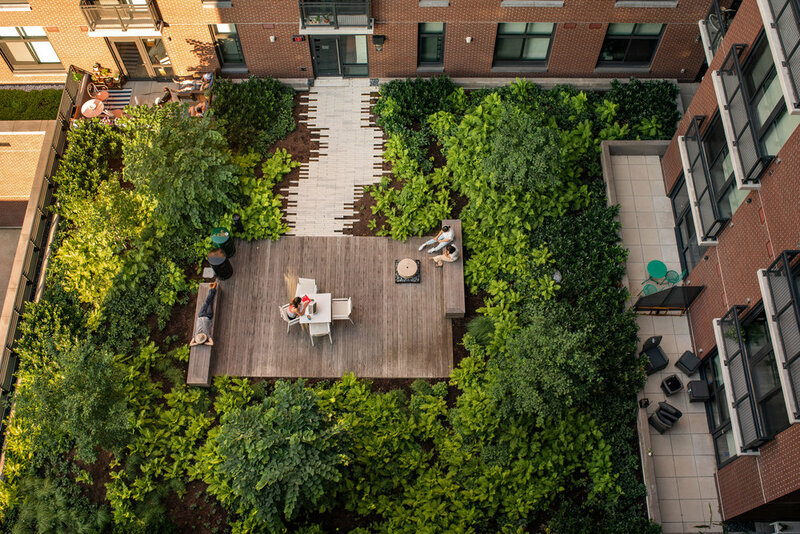 The second and fourth floor courtyards each have a different character: one is a lush fern garden with seating for small groups, a second is organized as an orderly parterre with seating for slightly larger groups, a third one comprises a larger social space with a series of relatively intimate patios, the last is a community garden with views of the adjacent streetscape and neighborhood. 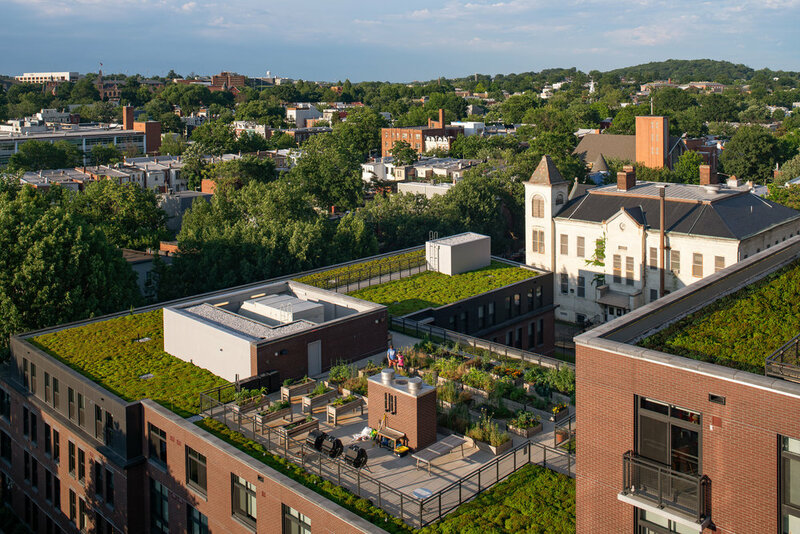 The two larger rooftop terraces are oriented to views out over the city. On the west terrace, LAB worked closely with the architecture and structural engineering teams to design a series of stepped terraces that step up to provide adequate depth for the swimming pool. Envisioned as an active space, the pool terrace is flanked by a sculptural trellis that provides shade and privacy from nearby activities. 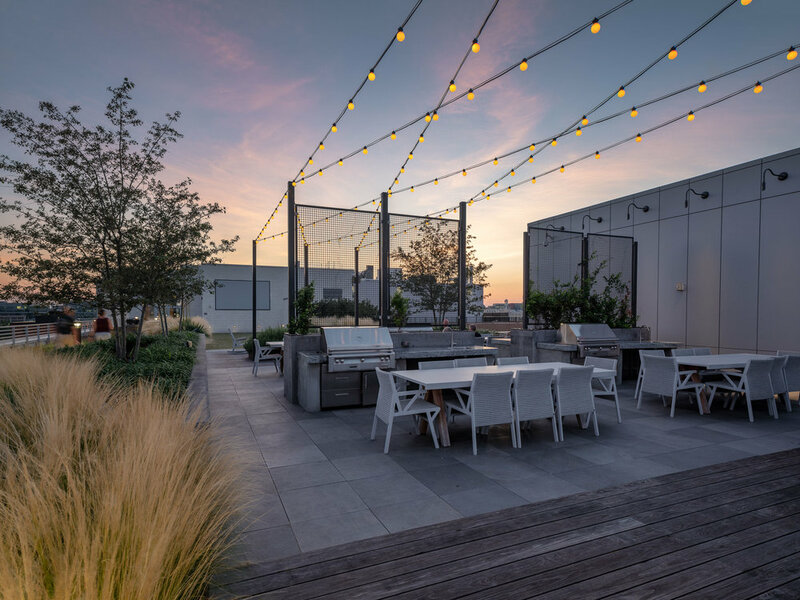 The west terrace also includes an overlook where users can enjoy a commanding view of sunsets over the city while warming around a fire pit. The east terrace includes a large dining and grilling space and a large synthetic turf lawn area that can be used for outdoor movies.